* Chlorine Chlorine is a chemical compound that is used for water sanitation, and is the most common chemical used for pool sanitation. 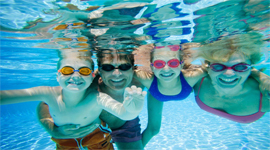 If you go into a pool service store, you might notice a large variety of types of chlorine. There are liquids, tablets, granules, and sticks just to name a few. Each of them have different levels of chlorine. Too much chlorine can cause skin and eye irritation, and cause corrosion on the equipment and surface of the pool. Too little can be a sanitation issue, and be a health and safety concern. * Bromine Bromine is less popular than chlorine, but is another chemical used for water sanitation. Bromine is considered to be softer on skin, but requires more maintenance than chlorine. This is because it reacts with ultraviolet light, making it dissipate when exposed to sunlight. 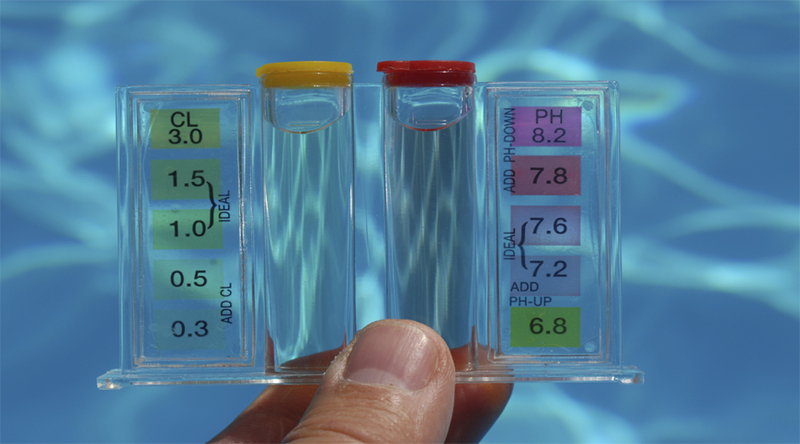 Different balancers are used in conjunction with sanitizers and oxidizers to balance the pH of your pool water. The pH refers to the level of acidity or alkalinity of the water. The pH level must be balanced for safety. * Calcium Chloride: Used to balance the calcium, or calcium hardness, levels in your pool. Low levels can cause corrosion of equipment and the surface of your pool. High levels can make your water cloudy and irritate skin. * pH “Increasers and Decreasers”: A series of different chemicals that are used to increase or decrease the pH level of pool water. Typically the chemicals used for this are sodium carbonate and sodium bisulphate, respectively. * Oxidizers, also known as shocks or shock treatments, act as an added sanitizing process. Typically, shock treatments should be added weekly or every other week depending on how often you use your pool. Oxidizers are usually different and stronger forms of chlorine. 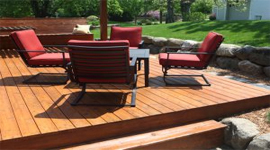 To maintain proper chemical levels, the addition of necessary chemicals is eminent. Contact the professionals at The Pool Store Valdosta as we can provide weekly pool maintenance and guarantee the proper handling and addition of any required chemicals.